Recent revelations about Silverlight patching got me thinking about other ways of achieving maximum screen real estate within a web browser window. We all know that web browser windows can become cluttered over time with multiple toolbars and menus. 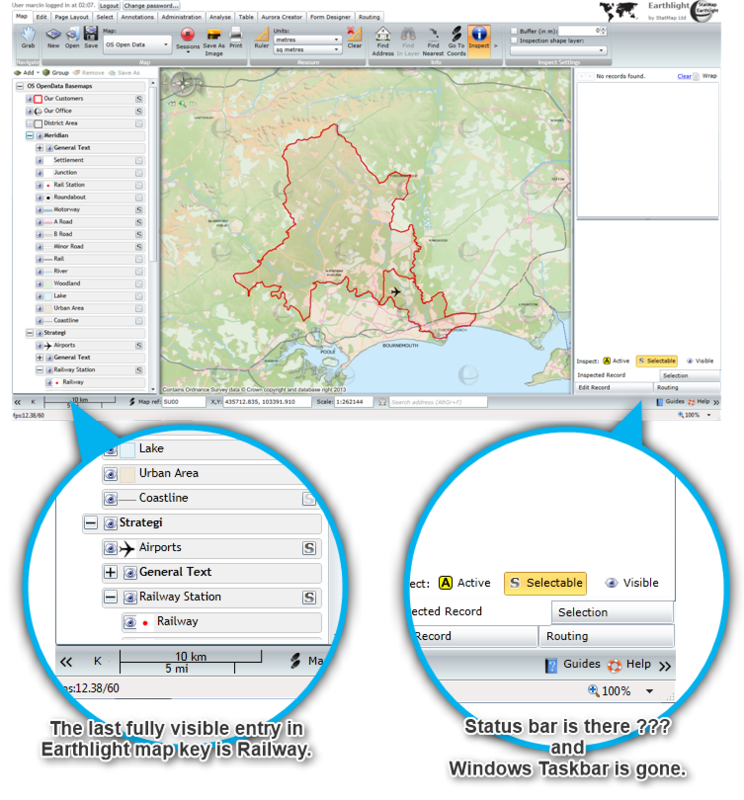 In this post I would like to test if using Earthlight within a web browser window can be as convenient (in terms of available screen) as having it installed on the PC. In all scenarios I’m using a monitor with screen resolution of 1366×853 pixels. What I stated with was a bit cluttered version of IE11. I have no custom toolbars installed so I made all default IE toolbars visible: Status, Favourites, Command and Menu bars are switched on. The most common/easiest way of accessing Earthlight. The size of visible Earthlight window is the smallest of all. I thought about using Earthlight in full screen mode to maximise my screen real estate. I have opened Earthlight as an Internet Explorer tab and switched to Full Screen mode by pressing F11. The size of the map was impressive – the largest available. 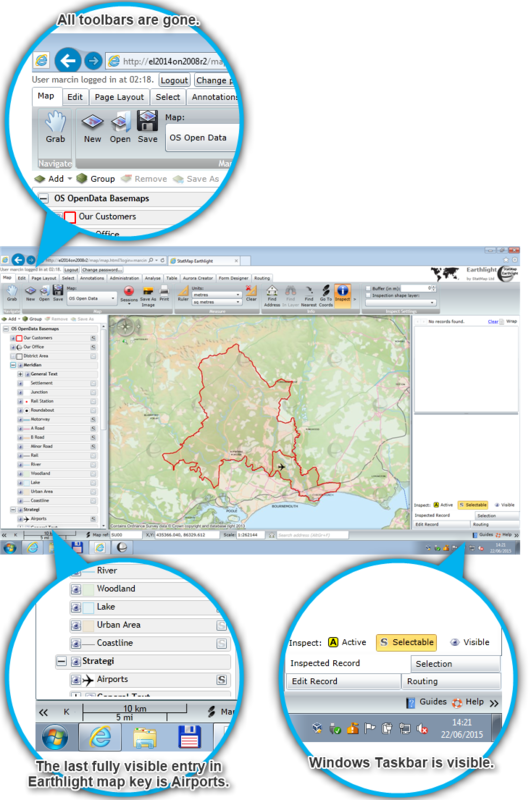 Compare it to the standard IE tab and you can see six more map key entries. But there was a massive drawback of this approach and it was the lack of quick access to the Windows Taskbar and other applications. The best you can get as far as screen real estate goes. Windows Taskbar is not visible and requires pressing Alt+Tab to switch to the desktop. I then remembered seeing somewhere that Windows 7 has the ability to pin Internet Explorer tabs to Windows Taskbar. To do so simply drag a tab to the taskbar and Windows will ask if you want to “Pin to Taskbar”. If you drop the tab then and there a new “application” will be pinned to your taskbar. When you click on this shortcut a new Internet Explorer window pops up with all toolbars removed and Earthlight taking almost all screen. And yet I still have the the convenience of visible Windows Taskbar. The most convenient / easiest way of accessing Earthlight. The size of visible Earthlight window is only a fracture smaller than in the out-of-browser / installed mode. 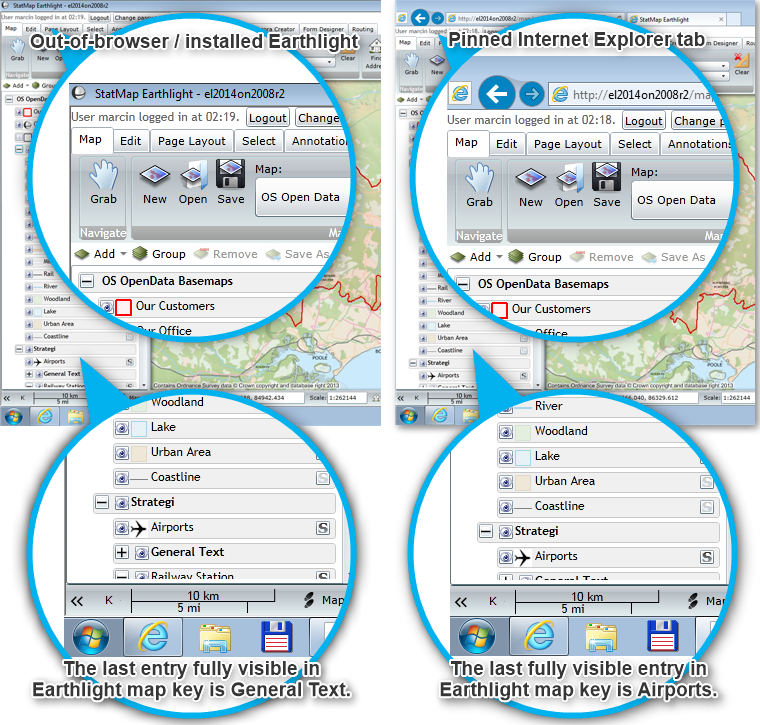 Comparison between out-of-browser / installed Earthlight and pinned Internet Explorer tab. 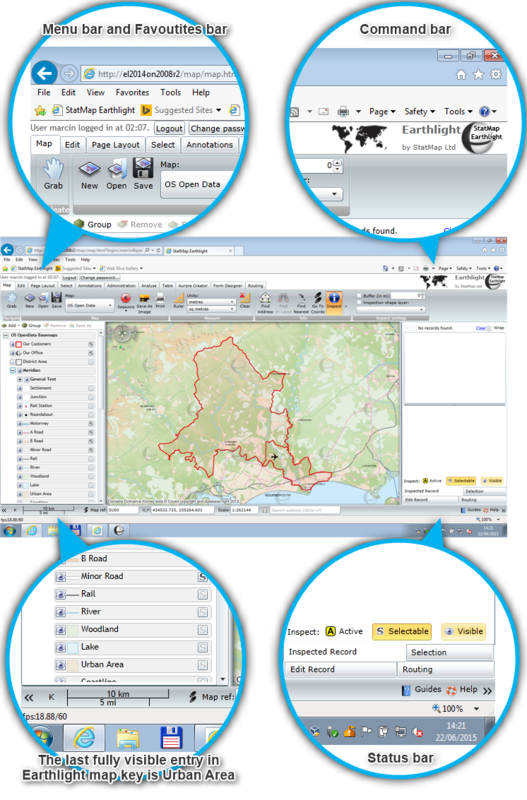 I decided to compare the size of visible Earthlight interface between the recently made obsolete installed Earthlight and the pinned Internet Explorer tab. To my surprise the difference in the height of the Earthlight window was negligible with just one more map key entry visible in the out-of-browser / installed Earthlight. Precise measurements show that the exact difference is 28 pixels. The King (installed Earthlight) is dead, long live the King (pinned IE tab).